The UEFA Champions League group stages provide football fans with some of the most intriguing action in the world. 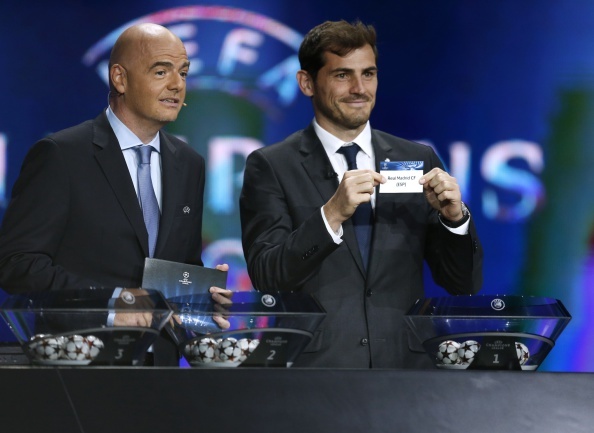 The draw for the groups is anticipated by supporters all over the world as fans await to see their club's destiny. But how much do the outcomes depend on where each club is seeded before the draw? What are your team's chances if they are drawn from pot #3 for instance? Here are some interesting facts from the last 10 years of the UEFA Champions League group stage competitions. It comes as no surprise that over the past decade clubs drawn from pot #1 finished first most times in their respective groups. As a matter of fact, all four pots have had a higher number of teams finishing in the place corresponding to the pot they were drawn out of. Pot 1 teams have come in 1st place 60% of the time, pot 2 clubs finished 2nd in their group on 42.5% of occasions, pot 3 in third place 41.25% of the time and teams picked out of pot 4 finished last in their group over 50% of the time. Clubs picked out of pots 3 and 4 haven't had much success over the years, which is understandable given the fact teams are seeded in pots 1 through 4 based on their success rate. Sides picked from pot 3 have only managed a first or second place 23.5% of the time, while clubs from pot 4 managed qualification to the next round of the competition 18.75%. There were only 3 clubs that managed to finish in first place in their group after being drawn out of pot 4. Cypriot club APOEL did it in 2011-12, Spanish side Malaga accomplished the same thing the following season and Monaco managed the same thing last season. On all 3 occasions the common denominator was Russian club Zenit St. Petersburg which was drawn in every one of these 3 groups. Italian club Inter was the only non 1st pot club which managed to win the entire tournament after being drawn into their group from pot 2 in 2009-10. Last season (2014-15) was the only time the four clubs in a particular group finished the stage in a backward position as oppose to the pots they were drawn out of. In group C, French side AS Monaco who were drawn from pot 4 finished first overall in their group, Germans Bayer Leverkusen finished 2nd and came from pot 3, Zenit in 3rd place was drawn from pot 2 and the pot 1 participant Portuguese club Benfica finished dead last.